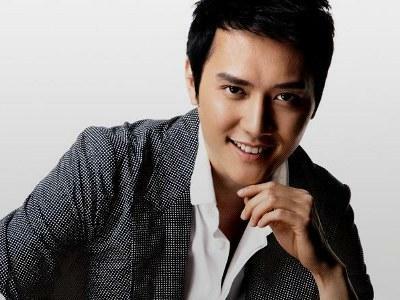 Feng Shaofeng joins "The Monkey King 2"
4 Dec – Following Gong Li and Aaron Kwok's participations in the sequel to the hit Lunar New Year film, "The Monkey King", it was recently announced that Chinese actor Feng Shaofeng (Also known as William Feng), will also be joining the cast. According to Tencent Entertaintment, Feng will be playing the role of the Monk Xuanzang, who begins his journey westward to retrieve the Buddhist scripture. Previously, it was reported that the production company has had the most difficult time casting an actor for the role, as they wanted someone who can do the character justice and can dedicate himself to the project. Thus, Feng, who has worked in many big-budgeted commercial films including "The Painted Skin II" and "Young Detective Dee", as well as critically acclaimed films including "The Golden Era" and "Wolf Totem", was deemed the right choice for the role. It was also reported that in preparation to play the iconic role, Feng has begun transforming his lifestyle, even following a vegetarian diet, to further understand his character.